British and Scottish leaders are drifting further apart in their visions of Brexit and of UK immigration policy. “[British prime minister] Theresa May's vision of Brexit Britain is a deeply ugly one - a country where people are judged not by their ability or their contribution to the common god but by their birthplace or by their passport," Scottish first minister Nicola Sturgeon said on Wednesday (5 October). She had earlier said in a message posted on Twitter: "We seem to have woken up with a Ukip government. Depressing doesn't even begin to cover it." 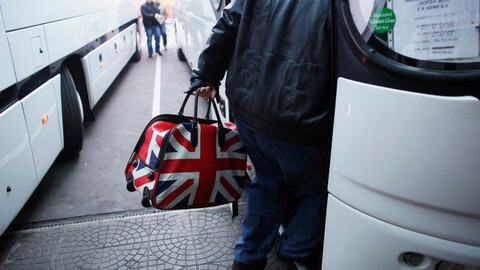 Ukip, a British anti-EU party, is known for xenophobia and nationalism. Sturgeon's comments came after the British prime minister and her home affairs minister, Amber Rudd, spoke out in strident terms on immigration at the Tory party conference in Birmingham in the past few days. May said twice that the UK was "not leaving the European Union only to give up control of immigration all over again." 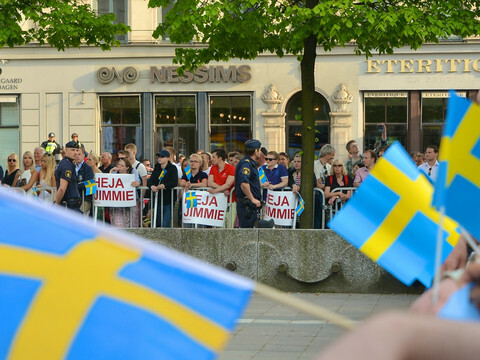 She also highlighted the value of national identity, saying "a citizen of the world [is] a citizen of nowhere." 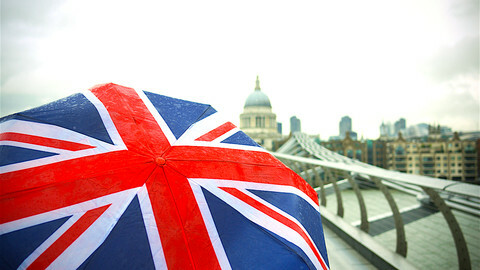 Rudd said British companies should hire “British citizens first”. "It is a vision the Scottish government want no part of, and one which we will never subscribe to," Scotland’s Sturgeon said in Wednesday’s statement. She said she would "do everything in our power to shape Scotland" into a more tolerant society. In an increasingly tense climate, her rebuke could be a sign that she will call for a second referendum on Scottish independence. 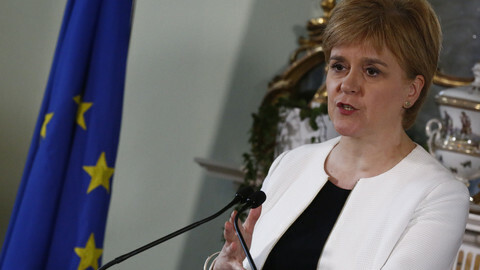 Scottish people in June voted to stay in the EU and Sturgeon has already said she might call for a referendum if the new settlement between the UK and the EU threatened Scotland’s interests. 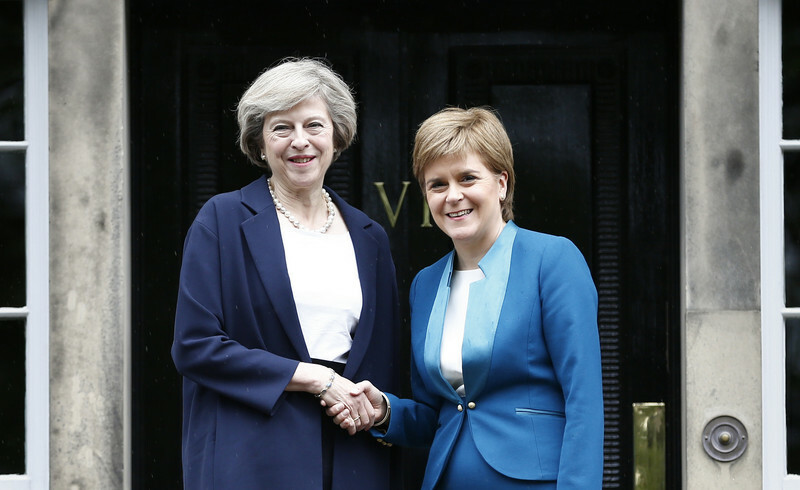 In July, after meeting Sturgeon in Edinburgh, May pledged to start EU exit talks only when the two had a common approach. But at the Tory party conference, the British prime minister set her own date, in March next year, and indicated that Scotland would have little say over the process. May warned against "divisive nationalists" trying to "undermine" and "drive apart" the UK. "We will negotiate as one United Kingdom, and we will leave the European Union as one United Kingdom. There is no opt-out from Brexit," she said on Sunday. On Twitter, Sturgeon replied that May was "going out of her way to say Scotland's voice and interests don't matter”. Sturgeon added that this was a "strange approach from someone who wants to keep [the] UK together." In other messages, the Scottish leader said the British government was "being driven by ideology of the hard Brexiteers, rather than [the] interests of country”. She said the Tory government’s "arrogance" was "breathtaking." 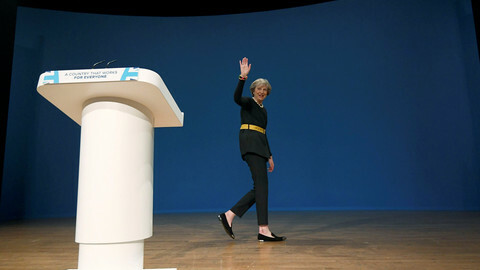 At the same time, she signed a joint statement with the leaders of the Green Party of England and Wales and of Plaid Cymru, the Welsh nationalist party, in which they condemned the "toxic and divisive rhetoric" of May's Conservatives. British leader Theresa May has pledged to start EU exit talks in March, prioritising British “sovereignty” on immigration over single market access. Scottish government has put a referendum bill to consultation, but negotiations with the UK for a coordinated Brexit is still the first option for Edinburgh. 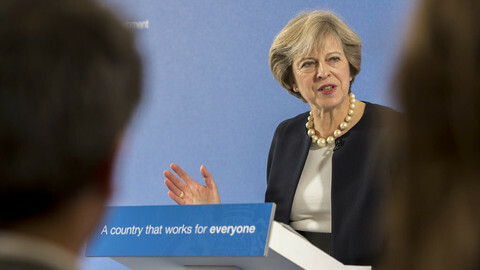 The Conservatives abandon plans to force UK companies to list their foreign employees after six days of strong criticism. 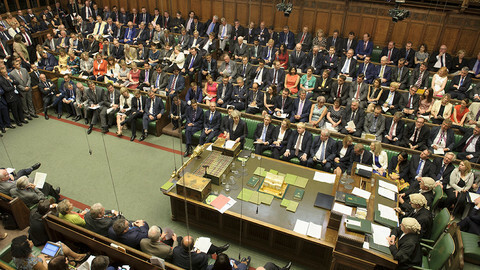 Conservative and Labour MPs want to be able to vote on the government's negotiating position with the EU, with some even considering joining a legal challenge.